With T-Mobile’s Support forum moderator announcing the Windows Phone 8X update would be pushed back to “tweak,” we had high hopes the delay wouldn’t last long. As it turns out, the delay lasted right around 24 hours as the same forum moderator announced the update as live around 1pm eastern time this afternoon. 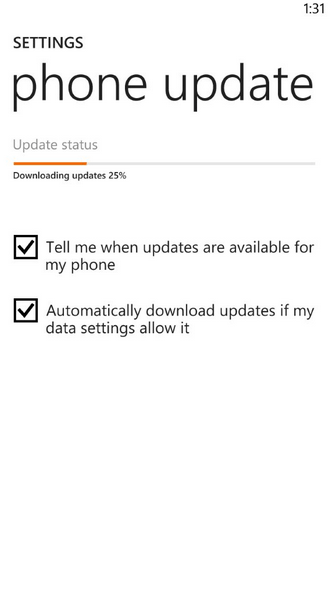 While it’s still too early to tell if the update has had any discernible impact on reboots or other troubleshooting issues related to the Windows Phone 8X, any fears we had about a delayed update lasting days or weeks has been put to rest. “Good news everyone! We’re releasing the update today! I’ve already installed the update on my review Windows Phone 8X and will continue reviewing the device throughout the weekend and with my final review getting posted very soon. For the sake of fairness, I’d like to see if the review does impact or should I say lessen the number of reboots 8X users have endured. Personally, I’ve only seen a handful throughout the 3 weeks I’ve had the device, but for some 8X owners they are much more frequent. Just updated. Afterwards I had a weird issue with my data but I forced the phone to refresh the connection by switching from 2G and back to 4G. Time to see what changed. I may have already returned unlocked 8X, but it’s nice to see that T-Mobile didn’t drag their feet in getting their version of the of the update out. The minute MS and HTC offered it I could install it on the unbranded version, but it only took a week for T-Mobile handsets to get it. I admit that’s a heck of a lot better than what I’ve come to expect from an American carrier. I ran the update on my Tmo branded device yesterday and didn’t have any reboots yesterday but have had 2 in the last half hour today.